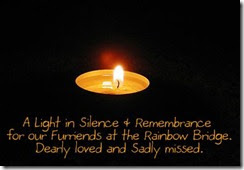 I have noticed conflicting dates for World Pet Memorial Day, some say it was June 9th, but the American Veterinary Medical Association says it is always the second Sunday in June, which would make it fall on June 14th. Since June 14th is Flag Day in the U.S., I decided that today I would honor my Angel Bobo....( I have honored Angel Bobo EVERY day since he passed in 2007 in my thoughts and heart, and through collages I have made and that are hanging in our home), but today I will formally recognize him. Please take a moment and acknowledge and say a prayer for all of the cats and kittens who are in shelters and pray that they find furever homes. I also send healing prayers to the kitties that all of you have loved and lost and to the countless, nameless cats that are "lost" every day. Some were blessed and knew love, sadly, many never did. Thank you for sharing this beautiful post. And what a beautiful image of your precious Bobo. I also strive to constantly honor all of my beloved furbabies who have made the journey to the Rainbow Bridge over the years. I lost my sweet, precious Rosie one month ago, and she is in my thoughts and is dear to my heart every moment of every day. I love that you mentioned creating collages in honor of your sweet Bobo, as I also find it comforting to honor my furbabies by creating art for them. My baby girl Rosie has had multiple pieces of art created for her recently, and I am working on placing them all throughout my house in her honor. Again, thank you so much for sharing this. 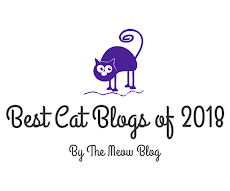 Purrs to you and all of your furbabies, past and present. You are most welcome and THANK YOU!!! My heart just breaks for you and I am so deeply, deeply sorry about Rosie. I didn't know you (since we just met), and my heart goes out to you. Please accept my deepest condolences. I saw the artwork you created to honor Rosie and it is brilliant and beautiful. Yes, when Bobo passed I couldn't bear to not see him or have him around, so there are multiple collages of him all over our condo, so that I see him in virtually every room I enter. Sending much love to you! Beautiful post and photo of Bobo. He will always be with you. My human will miss the cat before Sparkle forever. She was her soul cat. Summer (((hugs)))) to your human. I soooo understand! 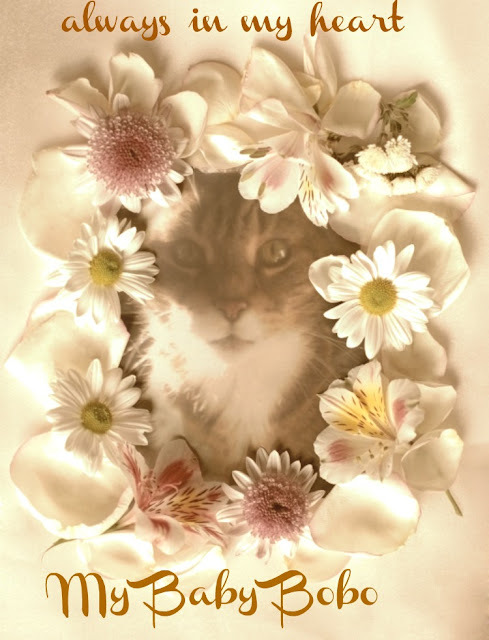 Bobo was for sure my "soul cat"
That's a lovely photo/photo frame to honour Bobo. Our human misses both Chumley and Annie, but if she's honest, Annie in particular. She also misses her two horse soulmates, from many many years ago. Oh what a beautiful memorial post for Bobo.......it's just gorgeous and I know that he will always and forever have a special place in your heart. I often dream about all the cats I've known and loved - each has been special in their own way and I honor them every day in my soul. That is a nice memorial for Angel Bobo. We have too many that have left us these last five years. What a beautiful memorial! 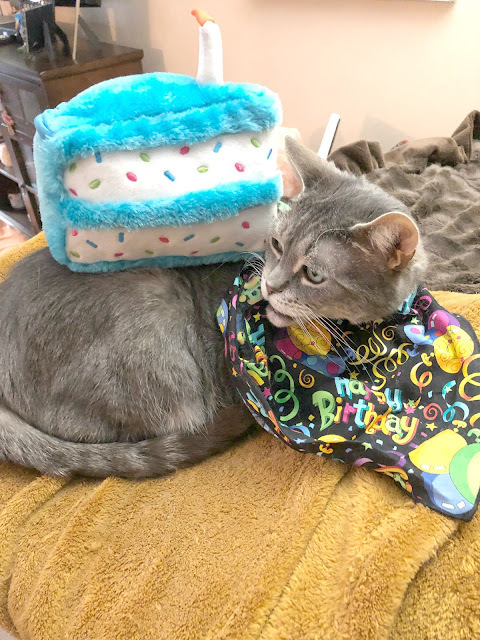 Lots of purrs for you as you remember Bobo today. Gorgeous Bobo. I know he was your special heart cat. Yes he sure was. He shared 18 and a half years with me...went through soooo many important things in my life. He was truly tied to me. What a beautiful memorial to your precious Bobo. Hugs to you as you remember him. What a sweet memorial to your beloved Bobo, Caren. 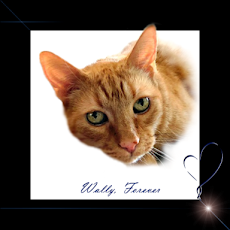 We're sending good thoughts to Bobo... and to "Billy" and "Fat Albert", Parental Unit's two kitties when she was a child. Just beautiful. Hugs to you. thank you and (((hugs))) back! Mom remembers all those lost furs, even the cats! No one will ever be forgotten! I can tell how much you loved and still love Bobo. It hurts my heart that so many precious little ones never know love. Ohhh I sooo did (and DO!) He was the first cat I had as an adult and he shared 18 and a half years of my life, he shared sooooo many important things in my past. He was an extremely sensitive cat who was deeply bonded to my every mood. He was such a wonderful, wonderful and special boy, but then again, they all are, aren't they? Love back to you! Thank you! The sad thing was that photo was taken not too long before he passed....his eyes look funny in it, he was such a handsome boy! (((hugs))) back! What a wonderful post. Bobo was a very lucky kitty to have such a caring mom. Prayers for all the kitties. Thanks so much for stopping by our blog and welcoming Marshall Tucker. We know how Angel Bobo still fills your heart and we send you love and hugs. Oh Brian he sure does! Every day!!!! Thank you! I send love and hugs back! (((purrs))) to you as you miss your sweet Bobo. Sigh. The hurt never really goes away, does it? Purrs and love for you and Bobo. - Crepes and Alana. It never does....but it becomes easier to cope with ((((hugs))) and much love back to you! Beautiful memorial post to Angel Bobo. Tons of purrs to you for that special day. I'm remembering my friendly feral Sammy who passed almost one year ago. He is why I seek out any stray cat; Sammy became a sweet, affectionate kitty once he was neutered and had a place to sleep with regular meals. 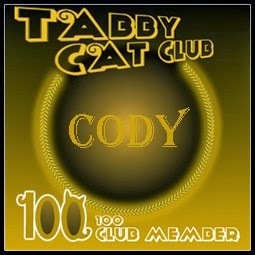 Maybe I can persuade one or two more to join my clowder. I must confess it's the first time I'm hearing about World Pet Memorial Day. But its a wonderful idea to celebrate our departed pets. I'm remembering my black cat Nino that was the sweetest kitty ever. What a lovely picture of your beloved Bobo and we know how sad it is when you lose a very special cat. Remember Bobo with a smile on your lips and your heart full of happy memories. Weez sowry fur yous loss of Bobo Ms. caren. Weez know da feelin' of loss too and know it hurts still after all these years. But at least we have da memowies of da luv dat was shared. So many never know dat and weez sendin' purrayers to all those less furtunate than us. Have a blest day. 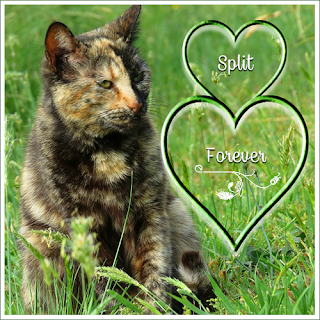 We are remembering the kitties that came before us, Madeline and Phoebe. They were the Mom's childhood kitties. And we are also remembering Callie and Tabitha, her two childhood woofies. P.S. Tabitha was a shelty like Dakota!! We send you many, many heartfelt (((hugs)))) I love that Tabitha was a Sheltie!!! Love it! Caren, this is so beautiful. What a wonderful tribute to your beloved Angel Bobo. Your enduring love for him is so clear, as is the fact that he lives on, always in your heart. Hugs! thank you so much my friend. ((((hugs))) back to you!!! Beautiful post and lovely memorial to Angel Bobo. That is a beautiful memorial to Bobo. All the kitties I have had before live on in my heart, but Eric holds the biggest part. What a beautiful post and art. Mom still misses her soul kitty, Hollywood. She wishes she had more photos of her but she was before digital and lots of photos have been lost. Every time she sees a post like this, she is inspired to look for them and create something beautiful to remember her by -- but I know she is always in her heart. What a beautiful post. We remember those that came before us...Bogart and Scooter. Gone...but not forgotten...and always loved. thank you and (((hugs))) for Bogart and Scooter! Big hugs to you, Caren. Its so hard when we have to say goodbye. There are 4 angel furblings here...and pawppy & meowmy often have conversations about them, and it helps to keep them fresh and loved in our hearts. Thanks fur helping all of us remember all of our precious angels. Our soul kitties will always have a special place in our hearts. I feel like that about my Angel Rose and about my current boy Charlie with whom I share a special bond. Hugs and happy memories to you. Caren, thank you for this post. My eyes are leaking and yes, I will and always will pray for those innocent babies in shelters and out in the open, unprotected and unloved. Hugs and paw-pats to you, dear Caren, for all whom you love and have loved. Fur-babies are special and aren't ever forgotten. I hope all critters in shelters everywhere find good, caring homes soon. What a sweet tribute for your Bobo! That is so gorgeous! And a special remembrance. We will take time on Sunday to remember those who have gone before. Mommy and Daddy are talking about taking Cinnamon up to Lassie Lake and going fishing in remembrance for the Hairy Slobbery Sisters Bob and Sam and my first Hairy Slobbery Sister Kokanee (who LOVED to goes fishing there too). Purrsonally, mes thinks they should clean the trailer and takes Me and Kozmo and Jo Jo too! Holy Catnip, Aunt Caren!! There are just some kitties we never really get over!! Us cats here are still dealing with the loss of our big sisters, Miss Mokie and Libby (Lil Bits). I miss them every single day . . . Our Mom says "thank you" for writing this beautiful post!! Beautiful art photo of Bobo...and such a sweet tribute to the beautiful love you two have shared.